Growing up, Devon March learned that the monsters in his closet were real – not figments of his imagination – and that he was stronger than those monsters. The latter was something that his father would tell him repeatedly. But when he is orphaned at age fifteen and sent to live with distant family at Ravenscliff Manor he learns a great many secrets about his family, his past, and himself. The beginning of this book was much more terrifying than I expected – particularly for a YA book – but the initial horror really only provides a setting for the book. The rest of the horror is typically implied by the opening chapters. The character of Devon March is almost atypical in YA literature. Despite being a fish out of water, he is confident and sure of himself. So many YA characters suffer from angst and anxiety and overcome great odds just to muster a call to action. Not so Devon. His desire is to understand his past and what is in store for his future and how the monsters and demons he encounters are a part of his life. This is quite refreshing but definitely took me by surprise each time Devon did something responsible. The supporting characters are a bit less clear. Cecily seems forever horny, Mrs. Crandall is the uptight caretaker, and Alexander the boy with a great many secrets. But beyond these impressions there isn’t much to them. This is an older book (one of the oldest books in my ARC queue) and I hadn’t heard much about it, but I definitely enjoyed this journey. Following Devon on his journey to understand himself is really interesting. The horror aspects of monsters and demons will appeal to certain younger readers. While it’s not a ‘must read’ book, it is a book that will be enjoyed when selected. Looking for a good book? 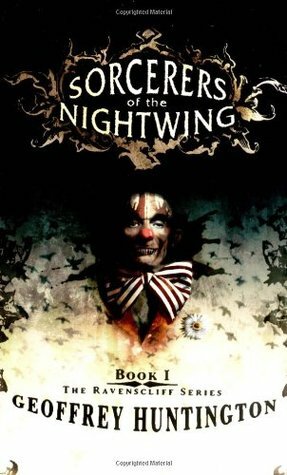 Sorcerers of the Nightwing by Geoffrey Huntington is a well-crafted YA horror book.